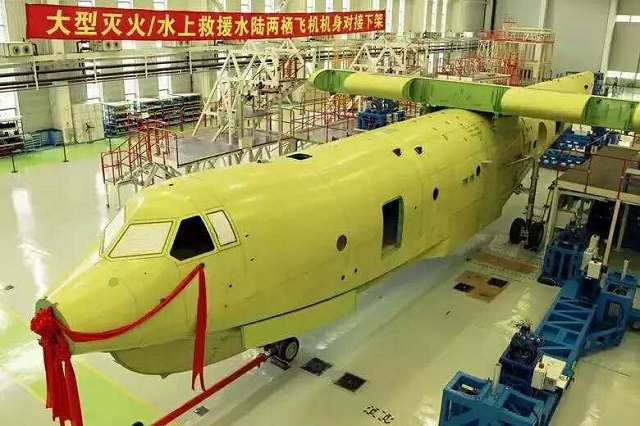 China started the assembly its domestically developed seaplane that will be the world’s largest amphibious aircraft AG-600 in Zhuhai on July 17, which draws extensive attention. “The AG-600's overall specifications, such as the maximum takeoff weight and flight range, are better than other amphibious planes in the world. Some countries with many islands, such as Malaysia and New Zealand, have expressed interest in the AG-600," said Qu Jingwen, general manager of China Aviation Industry General Aircraft Co, the aircraft's developer. The AG-600 can carry 50 people during a maritime search and rescue mission. Huang Lingcai, the chief designer, said the AG-600 will play an important role in forest fire control, maritime search and rescue, personnel and supply transport and law enforcement tasks at sea. He said that the plane can fly a round trip between Sanya in Hainan province and the shoal of Zengmu Ansha, the southernmost point of China's territory, without refueling. The AG-600 can carry 50 people during a maritime search and rescue mission. To extinguish forest fires, it can take on 12 metric tons of water from a lake or sea within 20 seconds and pour it on the fire. The project was launched in September 2009. The aircraft's debut flight is planned for the first half of next year, according to a statement by the company, a subsidiary of Aviation Industry Corp of China. 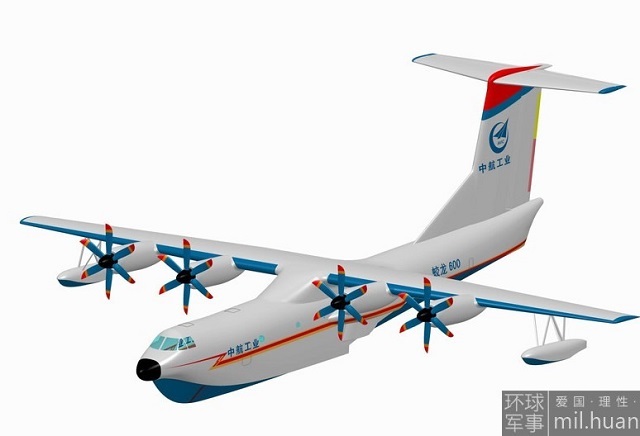 Powered by four turboprop engines, it will be the world's largest amphibious aircraft, surpassing Japan's ShinMaywa US-2 and Russia's Beriev Be-200, Huang said. It will have a maximum takeoff weight of 53.5 tons and an operational range of about 4,500 kilometers. China has decommissioned all of its seaplanes - reportedly as many as five SH-5 maritime patrol amphibious aircraft, he said.